Simple, elegant and functional- the Rangemaster Elise 110 Dual Fuel Slate Range Cooker ticks all the boxes. 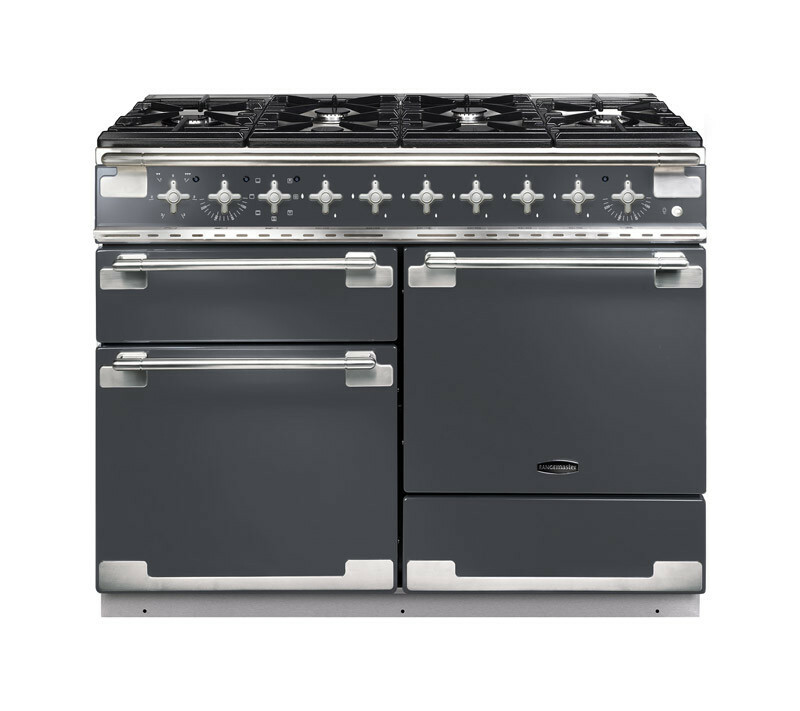 This full size cooker range (1092mm wide, 930mm high and 595mm in depth) comes in sophisticated slate brushed chrome trim and has an impressive 138l capacity, split between a conventional electric fan oven and a unique multifunction oven. This range also comes with an abundance of practical features such as a handyrack, a storage drawer, a dual circuit grill and more. It is a dual fuel range meaning that it is rated A for energy efficiency.